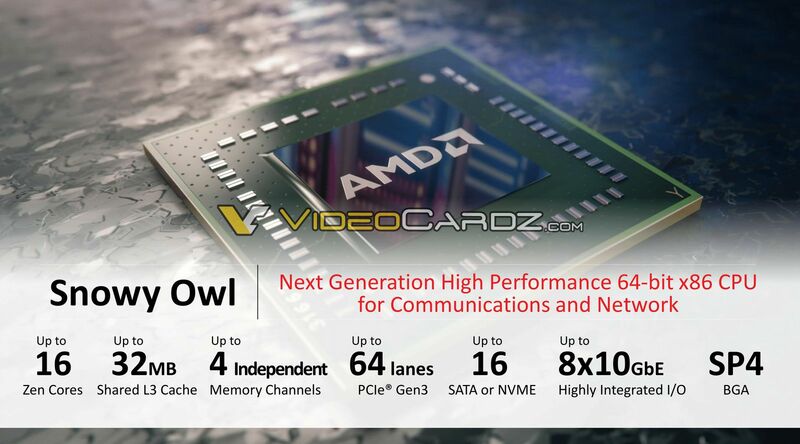 The first solid details of AMD’s Snowy Owl platform have found their way onto the internet. Snowy Owl is a platform based on an embedded Epyc server processor and is generally aimed at the networking and communications module. 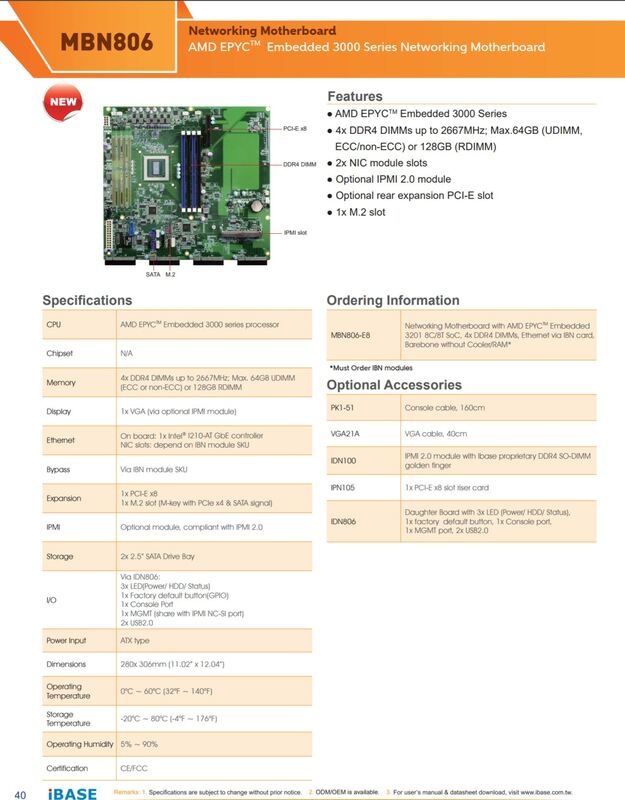 The iBase MBN806 motherboard sports an Epyc 3201 SoC which operates at 8 cores and no SMT (so not 16 threads, but just 8). 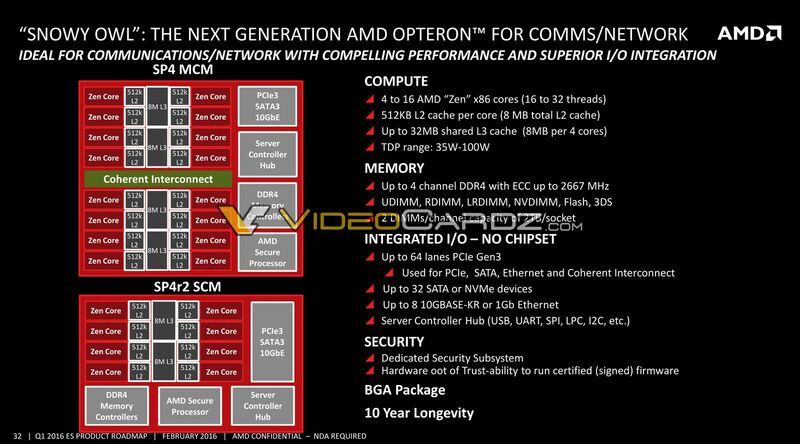 The motherboard supports memory running up t0 speeds of 2667MHz, with a quad channel configuration, as for the amount of RAM it is either 64GB if using UDMM or 128GB with RDIMM and IO will be high thanks to the Epyc 3000 SoC supporting up to 64 PCIe 3.0 lanes. This particular motherboard is certainly not as high performing as the higher end SKUs eventually available in the Snowy Owl lineup. The top of the range Snowy Owl Epyc 3000 processors can support up to 16 Zen cores, which should be perfect for the most demanding networking solution. There’s also a single Gigabit Ethernet port present on the iBase MBN806, which fortunately can be expanded with additional networking support if required (and given its purpose, there’s a good chance it will be). Perhaps somewhat surprising is the addition of the single M.2 slot on the motherboard, and this can work in conjunction with two SATA ports. 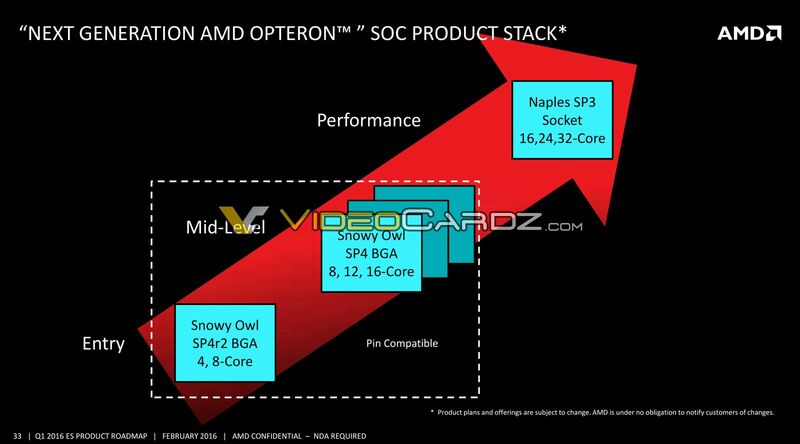 Essentially, Snowy Owl has been paired back enough so as not to cannibalise the sales of the full Epyc range of processors used in HPC, with considerably fewer IO options with PCIE connectors, less memory bandwidth and fewer Zen Cores available. But for the usage of networking, Snowy Owl should prove quite the hit. 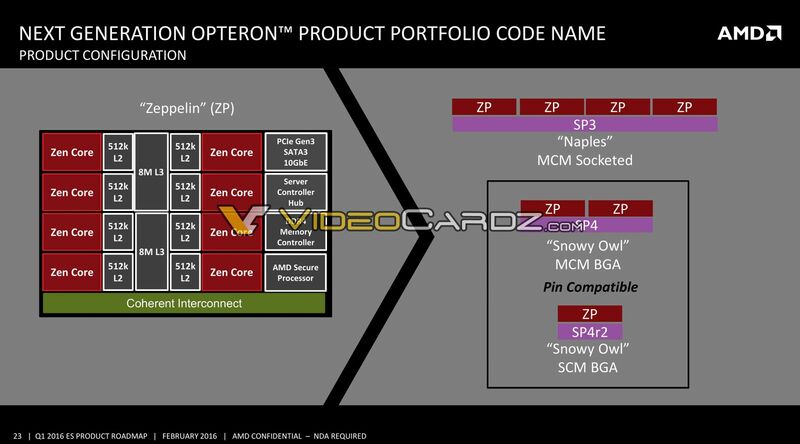 Tagged with amd cpu, amd epyc, epyc 3000, ryzen, Snowy Owl, snowy owl specs, xeon, zen.